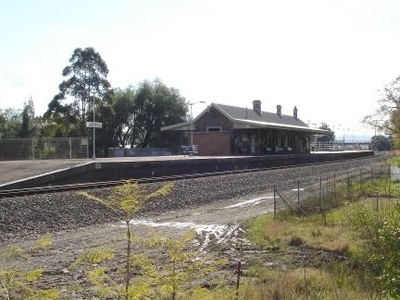 East Maitland is a railway station in Maitland, New South Wales, Australia. It is part of CityRail's outer suburban network, on the Hunter Line. It is the fourth site of the station known as East Maitland. The first site, a temporary terminus while the bridge over Wallis Creek was being built was about where Victoria St Station is now. The second was directly north of William Street East Maitland and between the East Maitland Courthouse and Post office (which was on the then corner of William and Day Streets East Maitland). (William Street, named after William IV and originally leading from the Anglican Church of St Peters East Maitland on Stockade Hill to the East Maitland Courthouse was planned to be the main street of East Maitland as can be seen by its unusual width). Here's the our members favorite photos of "Railway Stations in Maitland". Upload your photo of East Maitland Railway Station!